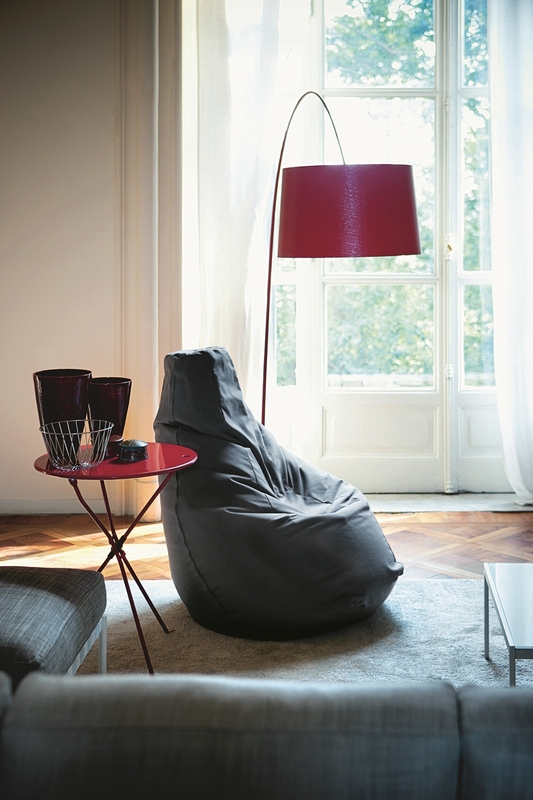 In commemoration of the 50th Anniversary of the iconic Sacco bean bag chair, W. Atelier and Zanotta, together with the DesignSingapore Council (Dsg), are on the lookout for Singapore designers to create their own versions of the chair. The top three designs will be displayed in Milan at the Zanotta showroom located at piazza XXV Aprile. For the submission, all interested designers are required to send in their proposals for the design of a Sacco bean bag based on the theme "Urban Living the Asian Way". Asian culture intricacies have long enriched and impressed people across borders. This theme was selected to show that Asian designers can integrate the essence of an Asian way of life through their designs, to enrich the lives of a wider global audience, beyond Asia. Additionally, the designers must keep the structure of the Sacco unchanged, and the contents of the Sacco cannot be replaced by other materials. The open call will close on 3 August 2018. Ten designers will be shortlisted to further develop their design concepts and work closely with Zanotta to bring their designs of the Sacco to fruition. On 15 November 2018, these ten completed Sacco bean bags will be unveiled in a ceremony at the W. Atelier Henderson Showroom. The designs will be displayed at both W. Atelier Henderson Showroom and House of W. Atelier at Bukit Timah until the end of the year. The top three designs will then be transported to Milan where they will be showcased in the Zanotta showroom located at piazza XXV Aprile for Italian visitors to appreciate. Finally, all 10 Sacco bean bags will be exhibited at the National Design Centre in 2019. Says Gani Atmadiredja, Managing Director of W. Atelier: "We are very excited to be celebrating 50 years of the Sacco bean bag chair in Singapore with this design showcase, which has been organised with the support of the DesignSingapore Council. We really look forward to working with the 10 shortlisted designers who will be producing their very own versions of the iconic Sacco bean bag chair, which is a pop icon in its own right." Says Mark Wee, Dsg's Executive Director: "This collaboration with W. Atelier and Zanotta is an exceptional opportunity for our local talent to give their take on the iconic Sacco chair. I'm confident they will bring fresh and even surprising perspectives, given our unique blend of cultures, languages and people. To our designers: don't miss this chance to show the world your talent and the power of Singapore design." The award-winning Sacco chair was conceptualised in 1968 at the height of pop culture, by three young designers from Turin, Piero Gatti, Cesare Paolini and Franco Teodoro. Together, they came up with the revolutionary and recognisable Sacco bean bag chair, that is at once relaxingly unstructured and aesthetically versatile. For all intents and purposes, the Sacco is a light and transportable bag made of plastic and filled with semi-expanded polystyrene balls – but its magic lies in its ability to be molded to any position of relaxation. Since its introduction to the world, the Sacco has remained a firm favourite in pop culture, having earned a place in more than a few permanent collections of contemporary art in Europe; from the Musée des Arts Décoratifs in Paris, to the Victoria & Albert Museum of London at the Triennale Design Museum in Milan.